It’s been an exciting few months at the Warehouse Cafe! 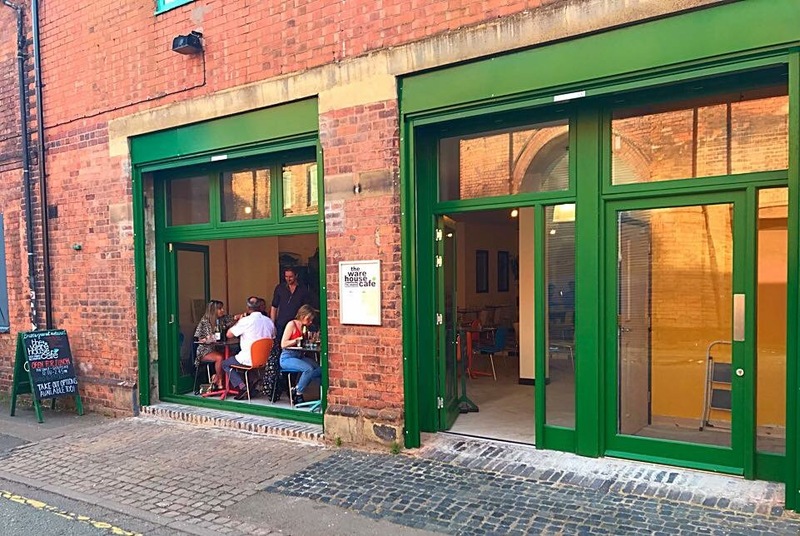 Over twelve months ago, when we first started talking about the possibility of the cafe moving from the first to the ground floor, most of us were doubtful it would ever happen. Several times over recent months, those doubts resurfaced with a vengeance! It hasn’t been an easy road, but it’s been worth it. The initial feeling among the team, way back in the first phases of planning, was excitement tinged with sadness – the first floor premises holds so much history for the cafe, as well as bags of character. We’ve only been around for five years, but there were so many holdovers from previous incarnations, such as the old blackboard, the rustic wooden tables and chairs, the old single pane windows – it all combined to give us a certain charm that’s impossible to recreate in a brand new space. But over the last couple of years we’ve had to modernise – the old mismatched tables had to go in favour of a more modular approach, to enable the seating of the ever increasing amount of customers who came through our doors. We’ve had more and more enquiries about disabled access – a feature historically lacking in the building – and so many disappointed customers unable to reach us because of our steep and narrow stairs. Though our new space isn’t yet finished, so does lack some of the character that abounded in our upstairs room, it’s already proving a dream for the team. We’ve got more space behind the bar, so we aren’t stepping on each other quite so much, more floor space-making it possible for us to take more customers and larger parties as well as a kitchen that has tripled in size! This alone will allow us to develop our community outreach work not to mention easing the day to day efforts of our chefs. We have so many plans to expand and energise our menu, and more kitchen space will help make that a reality. All in all, though the hard work isn’t over and we’ll be adding and changing much of the interior and layout over the next few months, the stress of the last year has completely paid off, and we can’t wait to show everyone what’s next for the Warehouse Cafe!